The term “progressive” has evolved a great deal over the past 35 years. On a somewhat parallel track, in the ’80s, liberal politicians found themselves under attack by the Reagan inspired right-wing of the Republican Party. Soon, conservatives succeeded in changing “liberal” into something akin to a dirty word and liberal politicians began to avoid any association with the term whatsoever. By the early ’90s more and more Democratic politicians began referring to themselves as being “progressive.” For most of the ’90s, though, this shift was so gradual that only the closest political observers seemed to even notice it. Notably, the progressive label was not only picked up by liberals like Ted Kennedy, but also by centrists like Bill Clinton and his cohorts in the Democratic Leadership Council (DLC). In fact, during the Clinton administration a tug of war ensued between centrists, liberals, and the left over who owned “progressive.” But by the end of the ’90s, “progressive” belonged to the left-wing of the Democratic party as well as to those activists who had one foot in the party and one foot outside of it–to its left. Since 2001, “progressive” has become considerably more vague in its meaning and application. With a hard right-wing administration in power, the differences between various left of center groups and politicians became less important than the need to stand up in opposition to Bush’s disastrous policies. Since it now appears all but certain that Barack Obama will be the Democratic nominee for president, let’s assume–for the moment at least–that he also wins the general election. With Obama in the White House, the left would at last be able to go on the offense–especially if the Democrats can expand their majorities in the House and, most importantly, in the Senate. Then what? Obviously we would need to help support Obama’s legislative initiatives against the fierce opposition he would face from big business and its Republican allies. But since most progressives see themselves as being to Obama’s left, the question then arises as to how we might push his administration further to the left. 2. Constructing a multi-issue progressive coalition to pull the Democrats to the left. 3. Proceeding in an ad-hoc manner to advance the progressive agenda on an issue-by-issue basis. The first strategy is being employed on Capitol Hill by the Congressional Progressive Caucus. The 72 members of Congress who make up the Progressive Caucus are left-leaning Democrats who have drawn up an agenda called “The Progressive Promise: Fairness for All” that clearly positions the Caucus on the left-wing of the Democratic Party. Co-chaired by California Reps. Barbara Lee and Lynn Woolsey, the Progressive Caucus regularly rallies support for causes and legislation that have yet to be embraced by their more “moderate” colleagues in the House and Senate. While the Progressive Caucus hasn’t been able to win passage of any of its legislative priorities, it is widely seen by grassroots activists as providing the movement with an important voice in the corridors of power in Washington. The “party-within-a party” strategy is also the approach being followed by the Progressive Democrats of America. PDA is in the process of trying to build chapters across the country in order to move the Democrats to the left. So far, though, it has had only very limited success. Perhaps most significantly, the progressive movement itself hasn’t gravitated toward either PDA or its general strategy. While few progressives would disagree with the desirability of having one grand progressive coalition, those who are most familiar with all the ins and outs of organizational politics on the left argue that such a coalition isn’t in the cards–at least not for the foreseeable future. 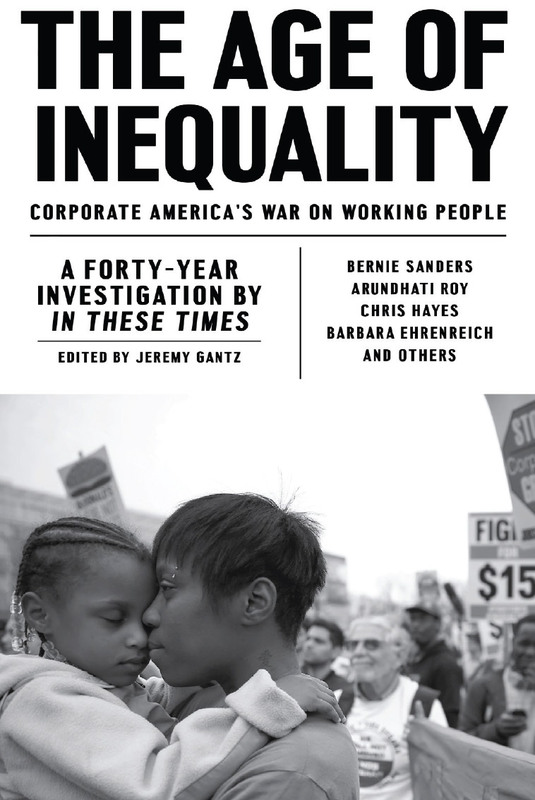 The reasons for this include: the differences in the agendas of many of the largest progressive organizations–especially those in the labor movement; the all too frequent inter-organizational rivalries and clashing egos; and the genuine differences that exist when it comes to what strategies should be pursued in the first place. So by process of elimination, we are left with the “ad-hoc, issue by issue strategy” (or non-strategy if you will). Given the shifting nature of groups that mobilize around one issue or another, this ad-hoc approach is the most realistic and viable strategy at our disposal (even if it does lack the strategic coherence that the other two might offer). Ironically even though this “strategy” has rarely been spelled out, let alone given a name, it has, in fact, been the primary approach that the progressive movement has utilized since Bush became president in 2001. The grassroots coalition that came together in 2005 to defeat Bush’s attempt to privatize social security is a highly successful example of this “issue by issue” approach–which will almost certainly be the de-facto strategy of the progressive movement in the years ahead. Another key advantage of this approach is that it doesn’t require the same degree of ideological unity that would be required by the other two strategies. It allows moderate- liberal Democrats and leftists to continue to cohabitate under the progressive banner. And, given the strength and power of our common adversaries, maintaining a mutually beneficial relationship between mainstream Democrats and the left is of the utmost importance for the future of the progressive movement. Ken Brociner's essays and book reviews have appeared in Dissent, In These Times and Israel Horizons. He also has a biweekly column in the Somerville (Mass.) Journal. Progressive is kind of a point where liberals and leftists come together. For instance, it might be easier to simply state what a progressive alternative to the Wall Street agenda of war and attacks on the working class looks like. The American people want three basic things right now: 1. Peace. 2. Real healthcare reform that includes single-payer and a vastly expanded public healthcare sector. 3. Jobs. Progressives essentially advocate ending these dirty wars to pay for real healthcare reform which would create millions of new jobs. The scientist and socialist humanist, Albert Einstein--- a progressive, probably would have used a mathematical formula which would look like this: Peace = real healthcare reform + jobs The only time real reforms in this country have ever been won is when liberals and leftists formed a majority progressive movement--- best example: The People's Front in the 1930's. Want to know more? Read, "The People's Front" by Earl Browder, its primary architect and leader who brought together liberals and leftists as a great progressive majority which won the New Deal reforms. The American Revolution could be cited as could the fight to end slavery or the civil rights and anti-war movements of the 60's where liberals and leftists successfully came together around a progressive agenda for real change. Is Obama a liberal, leftist or progressive? Heck no, he is Wall Street's man all the way; just look where he and the Democratic Party stand in relation to the above equation. "Progressive" is one of those fun words that is inherently neutral of content but has an implied meaning that we can argue over. I mean progressive means being in favor of progress, right? But progress toward what? That is the real question. So to some people the industrial revolution was progress and progressive. We can progress toward the cliff and our doom, or we can progress toward a better day for all. Or we can progress toward a two teired socitey of the rich and the poor as we seem to be doing now. I fight for the word progressive to mean "someone who is for progress toward the betterment of the human condition for the largest number of humans possible." So that frames questions like the invasions and occupations of Iraq and Palestline in terms of do they or do they not better the hujman condition for the most people possible. I see not viable arguemnt that either is a progressive movement toward the betterment of humans. Indeed under both occupations the people are suffering greatly, and that makes them regressive and exploitative and oppressive. Health care? Between health care relying on for profit insurance companies and single payer not for profit health insurance, clearly the later is the progressive option becasue it will better the human condition for more people in a more even handed way without the extra expense fo the profiteering for the insurance companies.. Land mine and cluster bomb abolition? Most issues seem pretty simple to me when the rhetoric is removed and we ask does it help or harm? Does it pay the few or benefit the many? The tragedy is that the Russians and the Chinese and the Japanese had less than a century to modernize their societies, or face colonial conquest, while the Europeans had more than five centuries to accomplish the same results, through colonial conquest. MM - So, if Fascism and Communism are the two sides of the capitalist coin, how do you account for the collapse of the Soviet Union into corruption, inefficiency, and bankruptcy, while the United States staggers from triumph to triumph? This despite the Sinisteres' decades-long predictions and insistence that the USA is "failing". In fact, Fascism and Communism are each collectivist and totalitarian, while American democratic capitalism is uniquely individualist and thrives in a (relatively) free environment, both in theory (the Constitution of the United States) and in practice. The Sinisteres want the USA to fail, but so far, no luck. They point to our current problems, but our current problems are quite trivial compared to some of the hellacious trials we have been through in the past: the War Between the States, the Great Depression, and WWII were the biggest. Marx promulgated the labor theory of value that declared that all value was derived from the value of the labor that was put into it. This is nonsense, of course. At its root, capitalism is an information system. In a free market, the price of an item tells you whether it is a good deal or not, or if better offers are available. In a stable economic environment, prices do not vary much. But the value of, for example, MicroSoft was quite small thirty years ago, and is much higher now. No amount of labor could have driven up the price of MicroSoft to its current level. The value of MicroSoft is a function of it's utility that is, in turn, a product of the innovative labor-saving function. Recognizing the changes in cost and the potentials that drive changes in cost are the basic elements of the capitalist information system. There are hundreds, probably thousands, of similar capitalist technical innovations that add huge amounts of value to our economy and our society. People who recognized the potential of automated data after WWII were in an excellent position to capitalize on their knowledge and insight. The rest of us just benefit from the productivity and efficiency of computers, which is considerable. In contrast, the Soviet Union had a single master list of all products and their prices throughout the Soviet Union. As a result, they frequently charged less for a product than the sum of the material, labor, and overhead that went into the product. That is why they went bankrupt, they did not know the true cost and value of anything, which only a free market can value correctly. And they certainly did not encourage innovation, except as a criminal enterprise. Just as an exercise, can you name a single Socialist innovation that produced economies of, say, one-twentieth that of the automation developed in the USA under the capitalist system? No, you cannot. In other words, political conflict, like the religious conflict which preceded it, is just another excuse to dispose of the people rendered socially useless by the transition from feudalism to industrialism. Fascism and communism are two sides of the same coin, and the name of that coin is capitalism. Every other form of government is an amalgym of communism (on the left) and fascism (on the right), national socialism or international socialism, privately owned enterprise or state owned enterprise, warfare or revolution. In other words, political conflict, like the religious conflict which preceded it, is just another excuse to dispose of the people rendered socially useless by the transition from feudalism to industrialism. Your point about DFA is well taken, but it is far from clear that DFA stands to the left of Obama. A quck glance at DFA's website reveals very little about where it stands on any important issues - other than it suports candidates who are "socially progressive and fiscally responsible." While there is, of course, nothing wrong with "fiscal responsibility ", it's pretty clear that the use of such rhetoric typically doesn't lend itself to the kind of expansive social programs that the left considers basic to its agenda. No surprise here - after all Howard Dean is not really on or of the left. As for the two pieces of legislation you refer to in the first par., was the increase in the minimum wage a Prog Caucus led bill? It is my understanding that it was not. Unfort. - as you point out, EFCA has yet to be signed into law. MoveON is certainly a huge success - but it is not a "coalition". It is a membership organization. In my column, I was discussing the possibility of forming a grand coalition of the many membership orgs that are part of the prog mvt. Sure - the ad hoc, issue -by -issue approach hasn't been terribly successful in recent years. With Bush in the White House and the Republicans able to block any serious reforms in Congress - it was nearly impossible to move forward. But if Obama (or Clinton) becomes president - and we also have Dem control of both houses of Congress, the ad hoc approach will have a lot more chances to produce solid prog victories. I really think this article misses the mark in some very important ways. With regards to option 1, there's no discussion of DFA, one of the more prominent groups advocating something like a "party within a party" strategy. DFA is significantly more successful than PDA, and has more than a handful of victories under its belt, and they are very well integrated into the progressive movement. Moreover, the Progressive Caucus has had some success with its agenda - the minimum wage was raised, EFCA passed the House, and so on. 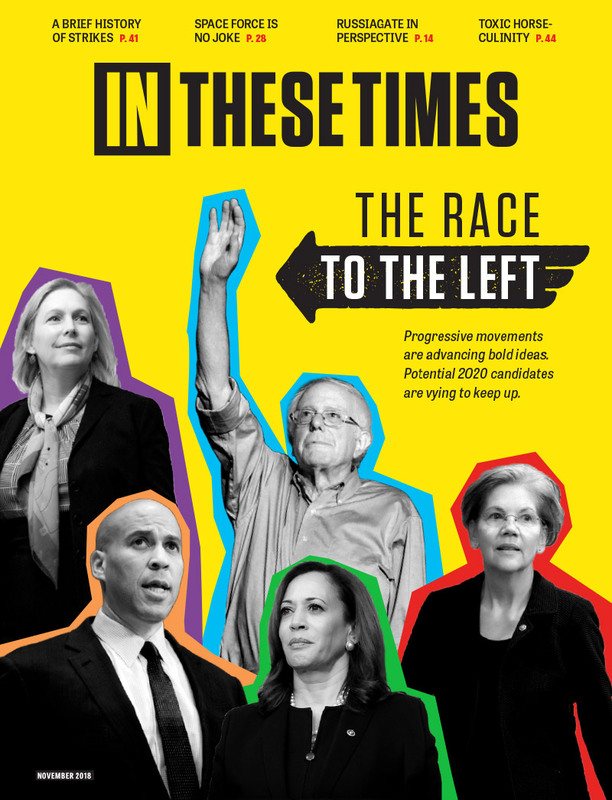 With regards to the multi-issue groups, I was surprised to read no mention of MoveOn, one of the most successful multi-issue coalition groups in recent memory, also clearly well enmeshed within the progressive movement. The option cited as the most obvious by process of elimination has not been in effect since 2001; it's been in effect for at least a few decades, and it gets less successful with each passing year. Our success with Social Security was the product of a broad coalition that included DFA and MoveOn, two groups who clearly represent options 1 and 2 respectively, and I think that fact undermines the conclusion of this piece.